﻿As a parent, it is important to pay attention to your child's overall health and that includes their oral health. When your toddler starts teething or if your child's mouth is already filled with teeth, you must take action to keep his teeth and gums healthy. Although these are still baby teeth, it is still crucial to keep it in good condition. Are you wondering when it would be the right time to take your child to the dentist's? Is it when their first tooth emerges, or when they celebrate their first birthday? Below are several tips that you can use to help make your child's first dental experience a success. The best time to visit the dentist is when your child's tooth first emerges, and this is because a baby's tooth is very susceptible to decay at that age. Dental visits from a young age will help the teeth stay healthy up until the point they are ready to come out and be replaced with permanent teeth. Most parents are not aware of the fact that your baby's teeth should be brushed as soon as they emerge. This is a practice that should be encouraged. There are various soft bristled toothbrushes that are safe for use on babies. Thankfully, children at a young age love to explore and learn about new things. This would be a great time to introduce them to their teeth and teach them of their importance. During this time, you can also teach your little one about how to clean and care for their teeth. Once your child is comfortable with his/her mouth then their first visit will be easy. In order for your child to want to learn more about their teeth, you need to make brushing their teeth a group activity. They will have fun if they get to do it with 'mom' and 'dad' and their older siblings. It is important for you to understand that in as much as toddlers may mimic the motions you make, ultimately, you will still need to brush their teeth for them, to ensure that it is done right. However, what matters, is that they feel involved. If you find that your child is not open to the idea of brushing their teeth then, you can try to make it a positive aspect of their day by following up the activity with a game. They can then associate brushing their teeth with a fun and positive thing. You would be surprised to know just how perceptive children are. If you make a grimace whenever you mention the dentist's, then your child will learn to associate going to the dentists with something negative and unpleasant. Find ways to teach your child about what goes on at the dentist, why it is important to schedule regular check-ups and even go for dental tours. These tours will help your child get accustomed to hearing about the various sounds that he/she will hear at the dentist's. Chances are, when your child comes in for his/her appointment, he/she will not be intimidated by the various machine sounds. 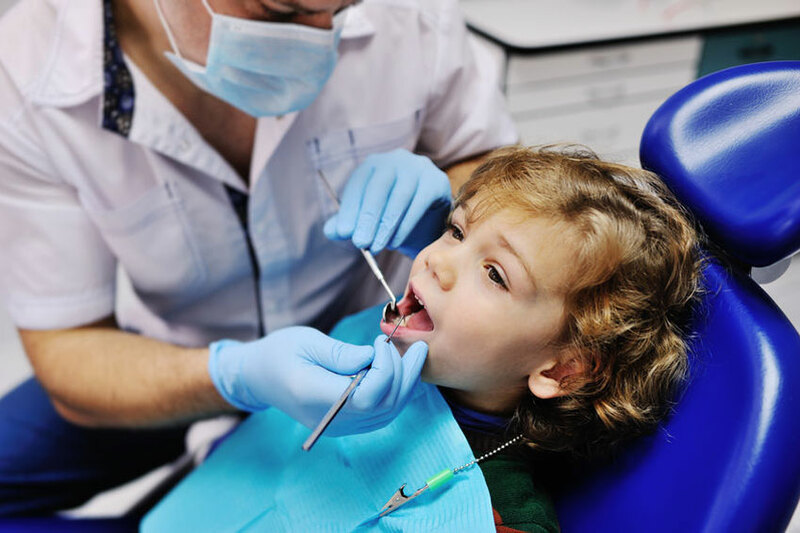 The aim of bringing your toddler to the pediatric dentist is to have a good experience. It is a fact that dental clinics can be quite scary for toddlers since it is an unfamiliar place with sharp instruments. When going to the dentist, you must assure your child that you are with them but do not fuzz-over them while the dentist is checking their oral health. However, you must not say that the procedure won't hurt. Instead you must tell them how good it will feel after the procedure. During the first appointment, the dentist will consider your child's needs and the dental care he or she need. It is also important to visit the dentist regularly. This will help with the teeth development of your child. A lot of dentists recommend that children must visit their dentist every six months, as long as there are no huge problems. If you want to keep your child's teeth and gums healthy, you must regularly schedule an appointment with the dentist. Choose a practice that is close to your home that allows for flexible timing, and has a compassionate and child-friendly staff.